Flowrate from 10 m3/h to 8000 m3/h. Wide selection of materials for the construction of both vessel and internals, including any kind of exotic material for Offshore applications. Balanced rotating backwash mechanism with single or multiple arms. Pre-treatment of seawater in oilfield injection for Off/On Shore applications. 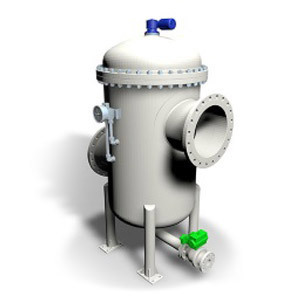 Main Seawater filtration and Fine filtration for Off-Shore applications. Pre-treatment of river water / seawater in Power Plants. Pre-treatment of seawater in desalination units. Industrial applications for steelworks, paper mill manufacturing and heat exchanger protection.